Wanna Get Paid to Be Healthy? Download Any of These 17 Apps! Tired of looking in the mirror and not liking what you see? Wish there was a way you could motivate yourself to exercise, eat better, and do all the things that make you healthier? When it comes to doing things that make us healthier and happier – whether it’s losing weight, exercising more, or cleaning up our diet – we all struggle with motivation. There’s one thing though that can be a huge motivating factor for most people – money. According to a study by the American College of Physicians, money is an incredibly effective incentive for exercising. After all, who doesn’t want to make a bit of extra cash? Well, now you can actually get paid to be healthy. There are apps out there that reward you for doing healthy things – walking more, working out, eating better, taking the stairs instead of the elevator, etc. These rewards can be incredibly motivating and keep you on track with your health and fitness goals. You make money and get healthier. It’s a win-win! 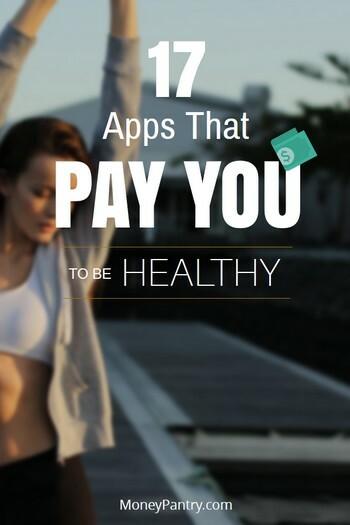 Arguably the most famous app that pays people to get healthy is Pact. It’s an app that rewards you for getting fit and staying healthy. The app is super simple to use. You simply make a weekly health goal, which is called a Pact. This goal can be anything related to health and fitness. If you meet your goal, then you earn money from other users that didn’t stick with their Pact. However, if you fail to stick with your Pact, then you lose money. On average, people who use the app earn between $0.30 and $5 per week. Another app that rewards you for being healthy is GOODcoins. With this app, you can earn rewards for things like running and cycling. You can use your points to buy stuff at the GOODcoins store or you can donate them to charity instead. With the Charity Miles app, you get healthier and earn money for a good cause. You earn money for charity by cycling, walking and running. You get between 10¢ and 20¢ per mile. The money you earn is donated to one of the charities that Charity Miles works with, like Habitat for Humanity and Stand Up to Cancer. If you’re looking for apps that pay you to exercise, then consider downloading Fit Crown. Fit Crown makes exercising a little more fun, and rewards you in the process. It works in a similar way to Pact. With your friends or other users, you can join exercise challenges. You each put some cash into the virtual pot. You then log your miles using a fitness app, like Run Keeper. If you pass the challenge, then you get paid a portion of what’s in the pot, and if you don’t, you lose the money that you put in. Essentially, you make a bet with yourself. It adds a nice competitive edge to fitness! With this fitness tracker app, you get paid to walk or run. So, if you’re looking to get back into running, and improve your cardio fitness level, then you should definitely give it a try. This app syncs with other fitness apps, like RunKeeper, Nike+, Google Fit, and MapMyFitness. When you run, walk or participate in any exercise in general, you earn points. You can redeem these points for goods, like healthy food and sports gear, from the We Fitter website. If you want to get paid to be healthy, then you should definitely check out Achievemint. It’s an iPhone app that pays you to do a variety of health and fitness activities, like walking, logging your calories, sleeping, working out, and weighing yourself. You can also get paid for sharing health focused Tweets and for participating in surveys and research. All you need to do is track your health and fitness activities. It’s compatible with a plethora of popular fitness apps and devices, like Moves, Fitbit, and MyFitnessPal. In return, you earn points. 10,000 points are worth $10. When you fly, you earn air miles, so why not earn them for walking? That’s the basic premise of the Earthmiles app. Every time you walk, run or cycle, you earn rewards. Sync your Earthmiles account with a fitness app, like MapMyFitness, Jawbone, Fitbit or Moves. Earthmiles gets data about your movement directly from these apps and rewards you accordingly. The more you move the more rewards you will earn. Wanna get paid for losing weight? If you do, then you should download HealthyWage. It is a challenge-focused app that gives you cash prizes for losing weight. Once you download it and set up an account with HealthyWage, you need to have a verified weigh-in. Then, as with the Pact app above, you set yourself a goal to lose a specific amount of weight in a certain time frame. So, that might be “lose 3 pounds in one week”. You place a bet using your own money. If you hit your target weight loss, then you win the bet and you get paid. If you don’t meet your goal, you lose the money. It’s a great way to keep yourself motivated! You can choose to get your reward in the form of cash via PayPal or Amazon credit. Another service that you should definitely check out if you’re looking to get healthier and earn a little cash in the process is the Walgreens Balance Rewards for Healthy Choices. This service is part of the Walgreens’ Balance Rewards program. You sign up for a Walgreens account and a Balance Rewards Membership. Then, you connect a fitness tracking app, like MyFitnessPal, to log your activity. You can also log your activity manually if you don’t want to use a fitness tracker. When you track your health and fitness activities, you earn Balance Reward Points. You can convert these into credit that you can use at Walgreens. This is a great way to save money at Walgreens especially if you are a frequent shopper of this drug store. The main way that you earn money through the app is by walking. The more steps you take, the more Balance Rewards points you’ll earn. Other ways to earn money through the app include tracking your blood pressure, sleep, weight and blood glucose levels. If you want to get paid just for walking, then Bitwalking is the app for you. With it, you can make money from walking. Every time you track your steps with the app, you earn Walking Dollars that you can spend at the Bitwalking store. It’s a reputable app that’s been featured by well-known media outlets, like Forbes, BBC, and Wired. Points can be redeemed for product discounts. This app can sync with other fitness apps and devices, like Fitbit, RunKeeper and Strava. Bounts is a fitness rewards app. With it, you can set up fitness challenges and earn rewards for completing them. Rewards include vouchers, sports good and exclusive experiences. You can earn rewards for things like running and walking, or for checking in at a gym that partners with the app. Bounts links up with fitness tracking apps like RunKeeper and devices like Fitbit. FitCoin differs to many of the other apps on this list. Rather than rewarding you with cash, points, discounts or products, FitCoin gives you Bitcoins. So, if you’re looking to start collecting them, then you should definitely try out this app. If you do almost any health or fitness related activity, like walking or going to the gym, then you earn BitCoins. The app is really easy to use too. You simply need to create an account and then use a workout tracker to track your workouts. Another app that works in a similar way to Pact and Fit Crown is DietBet. The app claims to have helped more than 150,000 people to lose weight, and win more than six million dollars in the process! In fact, the app states that 96% of the people that use it lose weight. With the app, you can set up or join a weight loss challenge or game as they are referred to. Then, you simply place a bet on yourself to lose weight, along with a group of other users. If by the end of the game, you achieve your target weight loss, you get a share of the pot. If you don’t, then you lose the cash that you put in. Kickstarter: With this game, you need to lose 4% of your weight within four weeks. Transformer: With this game, you need to lose 10% of your weight within six months. 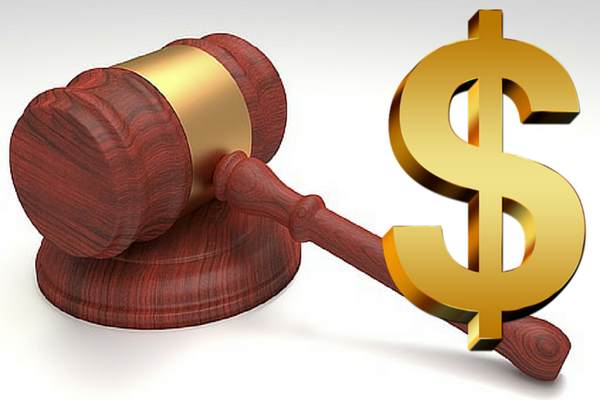 According to DietBet, its users take home $58 on average. It’s a really reputable app that has been featured by a number of well-known media outlets, like the Los Angeles Times, The Wall Street Journal, The Huffington Post and the New York Times. HiMOTIV motivates you to be more active. With the app, you monitor your fitness activities using other fitness apps or a wearable device, like a Fitbit. Then, you earn HiMOTIV points for walking, running, cycling and many other physical activities. You earn points for these activities. Just for signing up, you get 100 points. Points can be redeemed for discounts for various brands and retailers. Unlike the other apps and services on this list, HiMOTIV is designed for employers looking to get a healthier, and therefore, more motivated and productive workforce. Using it, employers can set up healthy corporate challenges. In 2013, Earnit, as service that allowed users to earn points for their fitness efforts, was acquired by Higi. Higi now features an app that rewards you for being healthy. With the Higi app, you earn rewards for tracking a variety of health and fitness activities. You can track your activity by using a fitness tracking application. Alternatively, you can visit a Higi Station. Higi has health tracking kiosks, called Stations, located in a variety of places in the United States. Using the map on the Higi app, you can locate a station in your area. When you track your health and fitness at these stations, or with an app you earn points. There are also challenges that you can join to get extra motivation and prizes. Virgin Pulse is another employee well-being solution like HiMOTIV. It helps to create healthier and more productive workforce. Employers can sign their employees up for the program and they’ll earn reward miles. These reward miles can be traded for gift cards. This program is only open to people that work for Virgin. Swagbucks doesn’t directly reward you for working out. But, it does provide a plethora of useful fitness videos that can help you to improve your health. And, if you watch these videos, Swagbucks will reward you with points. You can then use these points to get gift cards for well-known merchants like Amazon or even for cash via PayPal. And Swagbucks will even give you a free $5 bonus just for joining. Losing weight, improving your cardiovascular fitness level, getting more flexible and just getting fitter and healthier, in general, is difficult. But using incentives is a great way to get yourself motivated. Sure, for a lot of people, just getting healthier is enough of an incentive to keep them going. For the rest of us, getting paid for fitness is an awesome way to not only get fit and healthy but earn a few bucks in the process, making the whole process that much more fun. it seems like its not as easy as it is!! Well yeah, getting and staying fit takes a lot of hard work and dedication!